Kea, clown of the mountain. LIVING in the high country of New Zealand, the kea is an alpine parrot. With an irrepressible sense of fun, it has amused and delighted-or caused irritation-with its clownish pranks. Imagine that you have spent the day tramping in the mountains. You arrive at an alpine hut feeling exhausted. After a hearty meal, all you want to do is climb into bed and enjoy a restful sleep. But a family of keas have other ideas. They land on the hut and decide that sliding down the c orrugated iron roof would be tremendous fun. The noise of their claws scraping on the iron sounds like music to them. To show how much they enjoy this, they shriek with glee as they go. Then, with wings flapping, they scramble back up and repeat the whole noisy procedure. 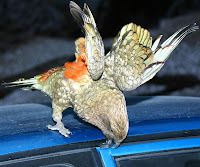 The Kea is "investigating" a car door seal. 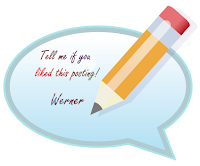 Click picture to enlarge. However, for fun-loving keas, even that game can become boring, so they devise other means of amusing themselves. Now they slide stones down the roof, which they then follow, all the time letting out shrill screams. To judge the reaction of the occupants in the hut, they hang upside down and stare in the window. The idea seems to be that the weary trampers will enjoy this "roof" show. But before you decide if these alpine parrots merit being called clowns; let us learn a little about them. The kea is named for its raucous flight call “kee-a”. They are native to New Zealand and are found only in the mountainous region of the South Island. Living in the upper reaches of the bush, to the limit of vegetation, they feed mainly on berries and shoots. Keas are solid, powerful birds-the male weighing as much as 1.2 kilograms and measuring up to 50 centimetres in length. Their predominant colour is green. Despite blending into their bush habitat, they are still very prominent birds. Their fearless personality, distinctive calls, large size, and scarlet under-wings set them apart from the rest of the bird population. They will frequently play in the air, taking full advantage of the highly variable wind currents in their mountain home. They are a magnificent sight as they soar through the gullies, competitively chasing and avoiding each other. 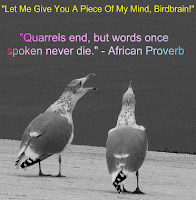 They are rated one of the most intelligent birds in the world. Maybe it is this intelligence that gives them their sense of fun. Their mischievous behaviour is an integral part of their character. Possessing an insatiable curiosity, they investigate everything in their territory, especially something new or strange. This examination is not done by sight alone but requires testing and poking at the object with their powerful beaks until they either become bored with the object or destroy it. At a mountain pass railway station, a kea was observed investigating two full milk cans that had been placed on the platform. The impudent kea flipped the lid off one and plunged its head in for a drink. The bird was scared away, and a metal rod was placed between the two handles for security. Not to be deterred, the kea returned, examined the "security arrangement" for a minute or two, and then deftly slid the rod through the handles with the tip of its beak. It then brazenly flipped the lid back and took another drink. They are rogues but lovable! Campers who are on hand to protect their belongings will be captivated by the comical antics of these remarkable birds. However, leave your campsite unguarded, and the damage done can be almost unbelievable. With their powerful beaks, they can rip a tent to shreds. What was once your sleeping bag can in no time become acres of feathers. Anything round in shape becomes the perfect object to roll down the nearest hill. Anything shiny becomes their prized possession. Bootlaces are especially fun to play with. Another game they enjoy is picking up objects and dropping them from a great height, seemingly for the fun of seeing them fall. Keas, with their unintentional ability to clown and entertain, endear themselves to all who have the privilege of sharing their world. Considering these antics, it is no wonder that they have been called New Zealand's flying monkeys. Keas love to congregate where they have an audience, such as at ski areas. The so-called clown of the mountains is now seen as an added attraction for skiers. It appears that they want to join in the fun. They will follow the skiers around with their bouncing, dancing hop. Tobogganing down ski slopes is considered especially enjoyable. As they do this, they slow themselves by putting their feet in a V-formation as skiers do with their skis. It is as if the kea is cheekily reminding us that the snow is not for the enjoyment of humans alone. Their love of mischief and good fun ranges from nuisance to minor destruction. Ski area operators will testify that they have to `kea proof' all their equipment. Vital apparatus has to be sheathed or enclosed. Even ropes have to be replaced by wires. A `kea proof' rubbish tin has yet to be invented. Skiers have to follow a few simple precautions to protect their belongings from the amiable rogues. If, for example, you leave your camera unattended, it will become a new toy for the kea. Skiers must protect their cars by covering them with suitable netting. Why? It seems that it is an absolute must for the kea to test the quality and durability of all motor vehicles. They like nothing better than to demolish windshield-wiper blades and rubber moldings and to crack plastic taillights. If a car window is left open, then the kea demolition gang will move in. They will sit on the car shrieking with mirth as they systematically destroy anything not secured. For very good reasons, the keas have been called New Zealand's only "protected street gang". Construction sites in the mountains are another favorite place for the kea to get into mischief. When a new hut complex was being constructed for New Zealand's famous Milford walking track, the local kea population took a keen interest. One began stealing - nails. While the exasperated builder chased the culprit away, another stole his cigarettes. As the impertinent kea shredded the tobacco and paper, all his mates -screeched in raucous approval. For curiosity and impudence, the kea takes the prize among the feathered creation. The moment keas spot humans coming into their haunts; they flock around and follow them as if they were afraid that the humans were going to steal their property. They just have to test and investigate everything around them. Pranks that are endearing to the casual - observer are unbearable to those who live with them day in and day out. There is an ongoing love-hate relationship with the kea. However, no one can deny that they are perky, friendly birds. Being fully protected, they are called the first citizens of the mountains. If you ever encounter these fun-loving, intelligent birds, you will agree that they truly are clowns. They enjoy the company of all who venture into their mountain world, and they give evidence of this by clowning around. Their love of life and their capacity to play are a pure joy to behold. I found this article about the New Zealand Kea very interesting unlike someone else (T.A.) for example, who doesn't give their real name and address. It makes you think of the mentality of some people, doesn't it? This is a very interesting article to read (the New Zealand Kea), and it puts you in mind of our own white cockatoos. We always look forward to your fascinating articles, and thanks for the tip. Werner, this is a very interesting article to read (the New Zealand Kea) and it puts you in mind of our own white cockatoos. We always look forward to your fascinating articles, and thanks for the tip.